We’ve been busy, busy, busy lately! The past couple of weeks have been packed with all of our favorite things – friends, family, and celebrations. In between, we’ve been relaxing and catching up and getting used to more changes in our routine. PJ is crawling like a maniac now, and so there’s a lot more chasing and distracting time built into my days at home. Here is one of my favorite pictures from the past couple of weeks – the first of what will be many, many get togethers between little friends. 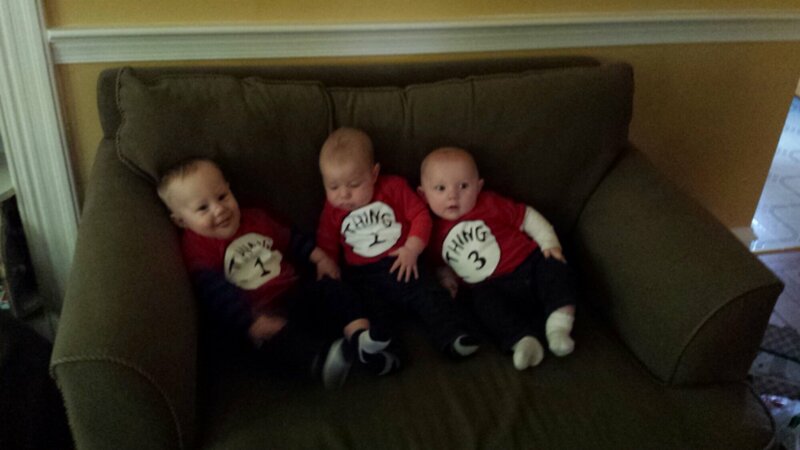 You guys all know Thing 1 of course, and there was some pretty awesome chaos when we introduced him to Thing 2 and Thing 3! Thing 2, aka Michael, came to visit us from TX and was so patient being stuck in the middle! In this picture, he and PJ are holding hands…awww! That lasted about 2 seconds, before PJ grabbed his ear and Sammy (Thing 3) started gnawing on his arm. Speaking of Thing 3, Sammy is a super special little guy – his mommy and daddy have been waiting a long time to meet him! We parents of the Things have known each other for a long, long time. I grew up with the other two dads, and we met the other two moms in college – Anne was my roommate and ended up marrying my friend Mark, and Josh met Nikki at their school. 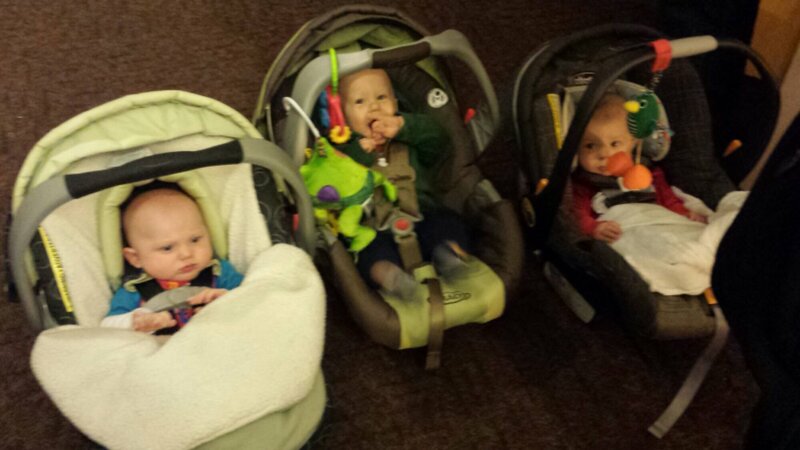 Paul came along most recently, and now our little group is on to The Next Generation! Michael has a big brother named Alex, who was a great sport but a little babied out by the time the week was done. I think he forgave us for all the baby talk though, because we kept the good food coming and plenty of it! A little too much of it, to be honest, haha – PJ also decided he’s done with nursing and I didn’t fully appreciate how many calories that was burning until we stopped. So there was a little moment of horror on the scale after our week long foodfest, but nothing that can’t be fixed with some salads and sweat! I hope you’ve all been having a great time lately too, we’ll be back with more updates soon – PJ wants to tell you all about his new adventures!